The first mineral location in the area was a gold placer claim, and the district was organized in 1870. Placer mining, however, was unsuccessful because of the low grade and lack of water. Early discoveries of rich silver lodes also proved to be disappointing. 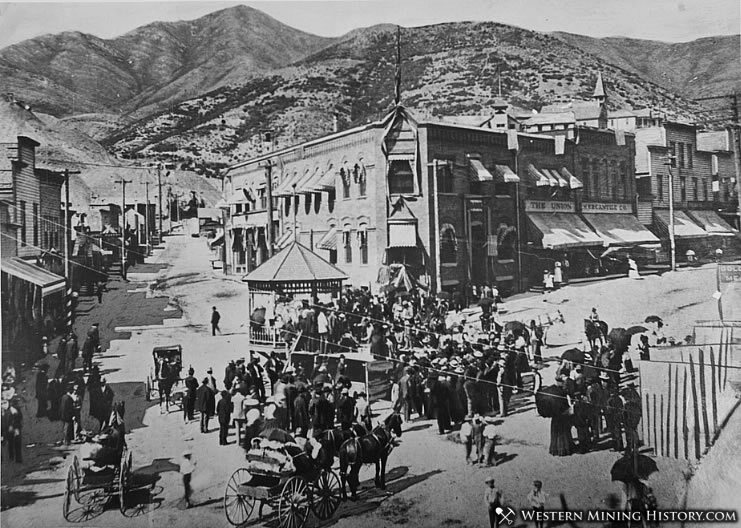 Interest in the area declined to the extent that the town of Lewiston, which had a population of 1,500 in the 1870's, became largely deserted. The Mercur lode, at first unsuccessfully worked as a mercury deposit, had a high content of gold, but the gold could not be recovered by the amalgamation treatment commonly used at that time. In 1890 attempts to treat the Mercur ore by the newly developed cyanide process were successful. 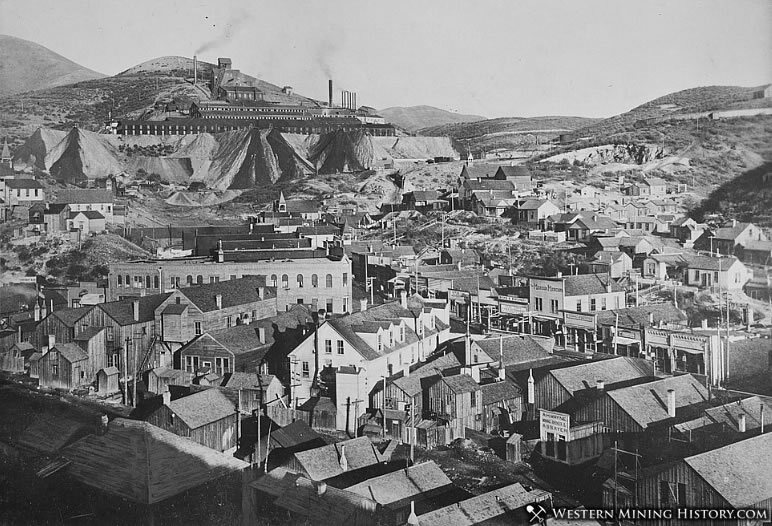 As a result, prospectors again swarmed into the district, the town of Mercur was built on the old site of Lewiston, and new mines were developed rapidly. This period of prosperity lasted from 1890 to 1917, during which time the Mercur, Delamar, Geyser-Marion, Sacramento, Sunshine, Overland, Daisy, and La Cigale mines were the chief producers. Mines were closed from 1917 through 1931, but in 1932 some were reactivated, and in 1933 a 500-ton cyanide plant was constructed to treat old tailings. Enthusiasm generated by increased prices in 1934 caused a significant resurgence of activity that lasted until 1945, when the mines again were closed. No production was reported from 1949 through 1959. An open-pit mine was developed at Mercur starting in 1985, and the townsite vanished with the expansion of the new mine.